SINGAPORE, 1 February 2015 – A 34-year-old Japanese civil engineer working in Singapore struck a windfall of S$1 million at Changi Airport today, as he beat five other contestants to emerge a newly-minted millionaire at the ‘Be a Changi Millionaire’ 2014 Grand Draw. Mr Seiichiro Oiyama, who has been residing in Singapore with his family for the past one year, shopped at Changi Airport last July before flying to Hanoi for a business trip. He spent about S$80 on some chocolates as a gift for a client, with no inkling that those few bags of goodies would lead him to a reward much bigger than just that business deal just a few months down the road. Changi Airport Group’s (CAG) ‘Be a Changi Millionaire’ Draw is Singapore’s biggest retail promotion, featuring the largest prize purse in a local retail promotion or by any airport in the world. The fifth instalment of the airport’s annual anchor promotion was open for entries from May to October 2014. One finalist was drawn each month, for participation in the Grand Draw. Today, all six finalists – including three from China, one from Egypt, one from Japan and one from Singapore – gathered at the Departure Hall of Terminal 3, to partake in the battle of their lifetime which featured quite literally, a million-dollar stake. About 500 captivated spectators watched with bated breath, as the contestants went through four rounds of exciting games, which involved progressive elimination down to just two in the final round. Mr Oiyama and Mr Qin Peng from China made it into the deciding finale, where the lucky one to pick the correct finishing piece to complete a world map jigsaw puzzle would be crowned champion. After a nail-biting 15 minutes, during which the pair took turns to draw from 12 puzzle pieces, the game was down to the last two pieces. In a dramatic moment, Mr Oiyama picked the piece labelled number 12 – which turned out to be the perfect fit that completed the puzzle, triggering an immediate shower of gold confetti and fanfare, pronouncing him the winner of million-dollar fortune. An ecstatic Mr Oiyama, who was accompanied by his wife and four-year-old son who ran onto the stage to embrace him, said, “It was very, very exciting. I chose No. 12 because it is my son’s birthday. I had to close my eyes because I was so nervous. I didn’t imagine this could happen.” With this windfall, Mr Oiyama plans to fulfill two things he has always hoped for – to bring his family on a celebratory trip to Mexico to enjoy its beautiful beaches, and to realise his dream of owning a black Porsche Cayenne, right here in Singapore. The ‘Be a Changi Millionaire’ draw is part of CAG’s efforts to create a robust retail environment – one that is both exciting for Changi Airport’s passengers to shop at, and conducive for retailers to thrive in. The 2014 promotion saw a participation rate of 1.8 million lucky draw entries, more than double its inaugural run in 2010, which registered 830,000 entries. Passengers from more than 200 countries across the world participated in the 2014 Draw, with the most number of entries coming from Singaporeans, Chinese nationals and Malaysians. Over the six-month period, more than 406,000 instant prizes were won, an average of 2,200 prizes a day. “We continue to be pleased with how ‘Be a Changi Millionaire’ has been very effective in generating buzz and excitement among our shoppers, as well as providing our retailers with sales opportunities. Our retail business is of strategic importance to the air hub, for two reasons. 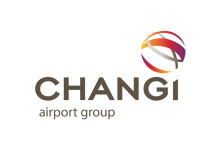 Firstly, it is an integral part of the award-winning experience that our passengers enjoy and value at Changi Airport. And it is also a key revenue stream that goes into subsidising the cost of running the airport, enabling us to keep aeronautical charges competitive,” said Ms Lim Peck Hoon, CAG’s Executive Vice President, Commercial. Since 2010, five lucky passengers at Changi Airport have been made overnight millionaires through the ‘Be a Changi Millionaire’ Draw. Mr Oiyama joins the ranks of two Singaporeans, former deejay Ivan Rantung (2010) and business development director, Peh Hock Peng (2012), Australian engineer Jessica Down (2011), as well as Indonesian businessman Irvung Tio (2013), as lucky recipients of S$1 million just from shopping at Changi. The other five finalists of the ‘Be a Changi Millionaire’ Draw won S$5,000 in cash, as well as a three-night stay at Crowne Plaza Changi Airport, with airfare provided for the non-Singaporean participants. As a result of the positive response received, CAG will be running the sixth instalment of the ‘Be a Changi Millionaire’ Draw in 2015. More details will be unveiled in the coming months. Changi Airport is the world's sixth busiest airport for international traffic. It served a record 53.7 million passengers from around the globe in 2013. More than 350 retail stores and 120 F&B outlets are situated across three terminals to cater to passengers and visitors. With over 100 airlines providing connectivity to 300 cities worldwide, Changi Airport handles about 6,600 flights every week, or about one every 90 seconds.